"If I could hug a cheeseburger, I would!" purchased some fleece and stitched up my first design – the Cheeseburger Pillow. what I love – and everything I create is something I would want to own. 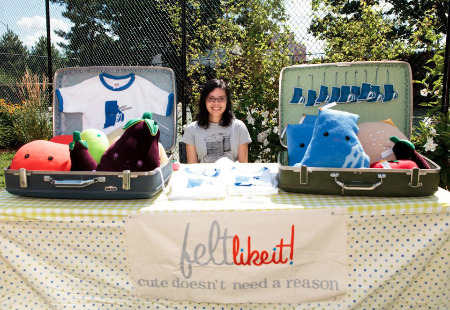 at brick-and-mortar shops across the country, and at indie craft shows. – Amber Alves, Chief Cuteness Officer, Felt Like It!